It is hard for liberals like me to find good news in the latest agreement to cut the federal budget, but there is at least one silver lining: subsidies for high-speed rail have been sharply reduced. Why is this good news? In his State of the Union address, President Obama compared high-speed rail to the 19th-century transcontinental railroads as parallel examples of American innovation. I fear he may be right. For the country as a whole, the Pacific Railway Act of 1864 and subsequent legislation subsidizing the transcontinental railroads — the lines that crossed the continent from the 98th meridian to the Pacific Coast — were the worst laws money could buy. By encouraging dumb growth, those laws sacrificed public good for private gain, and Americans came to regret it. It is not that either transcontinental railroads or high-speed railroads are always bad ideas. A compelling case can be made for high-speed rail between Boston and Washington, for example, but the administration proposes building high-speed lines in places where there is no demonstrated demand. In California, construction of the new high-speed rail line from San Francisco to San Diego will begin with a line from Borden to Corcoran in California’s Central Valley. It is already being derided as the train to nowhere. The reduction of federal subsidies has not stopped the project, which now threatens to become a forlorn monument to hubris. Proponents of the transcontinental railroads promised all kinds of benefits they did not deliver. They claimed that the railroads were needed to save the Union, but the Union was already saved before the first line was completed. The best Western farmlands would have been settled without the railroads; their impact on other lands was often environmentally disastrous. For three decades California commodities could move more cheaply, and virtually as quickly, by sea. The subsidies the railroads received enriched contractors and financiers, but nearly all the railroads went into receivership, some multiple times; the government rescued others. Scalability. The operation should work on all screen sizes, small and large. Reliability. Operations should work. Period. And events should not happen randomly. All these are rapidly disappearing from the toolkit of designers, aided, we must emphasize, but the weird design guidelines issued by Apple, Google, and Microsoft. Visibility – what do people see about their environment, do they know where the bus stops, what happens when they get on (where does it go), when does it operate, how long will they wait? Feedback – when they go to the bus stop to wait, does a bus come? Consistency – does the same thing happen every time, or does the bus not come on weekends? Do they pay for it the same way each time? Undo – can I get off the bus and get back to where I started? 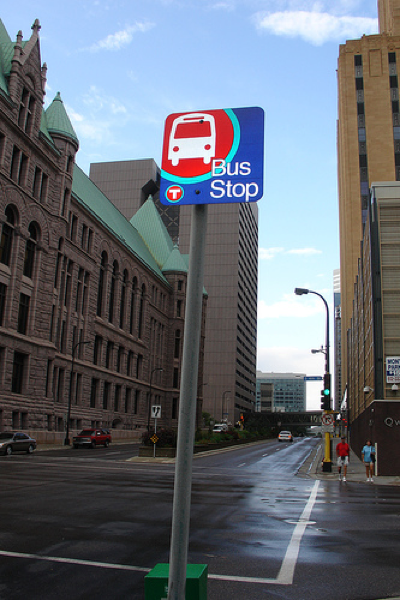 Discoverability – can I figure out where the bus goes based on the bus stop sign? Scalability – does the same information apply at all stops, or do some stops have more than others? Reliability – does the bus come on time?